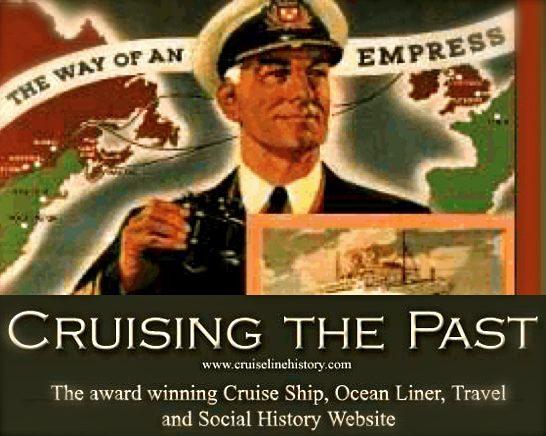 Home / CRUISING THE PAST / Crystal Cruises throws in the towel on saving the SS United States but activists continue the fight.. Crystal Cruises throws in the towel on saving the SS United States but activists continue the fight.. 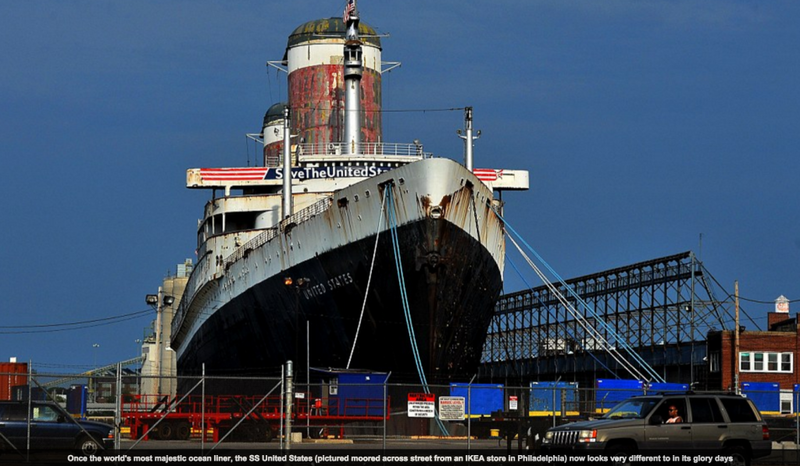 The S.S. United States, the world’s fastest ocean liner, won’t be sailing the seas again after all. The Titanic-size ship — which in its 1950s prime offered one of the most stylish ways to travel between New York and Europe — has been mothballed for decades, ever since jet travel ended the era of the trans-Atlantic super-liner. It is docked forlornly in Philadelphia, across the street from an Ikea parking lot, and as recently as last year, scrapping it seemed imminent. But in February, the Crystal Cruises luxury travel company commissioned a feasibility study to return the S.S. United States to oceangoing service — an idea that astonished even the vessel’s most optimistic supporters. Now, however, the verdict is in: It’s not going to happen. After an outlay of about $1 million on a feasibility study, Crystal has decided that the obstacles are too great. 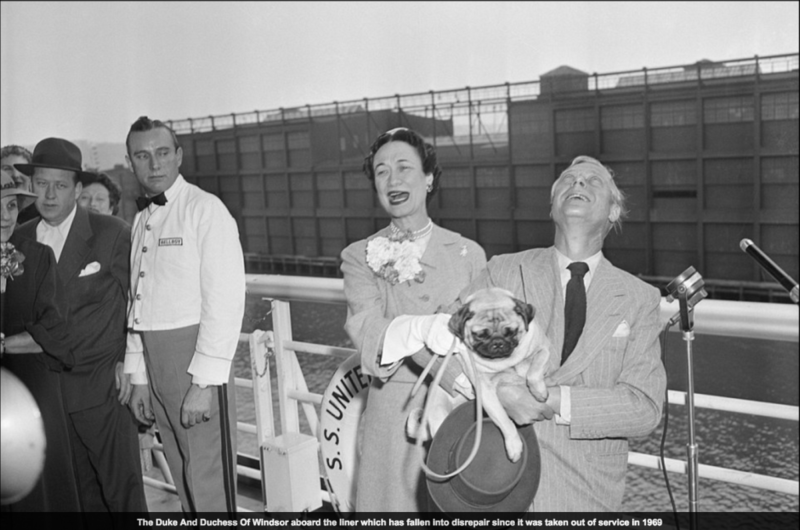 In 1964, former SS United States purser Jim Green returned to the ship as a passenger for a West Indies cruise along with his beloved wife Frieda. Here, set to the music of the ship’s own orchestra, is a nostalgic journey back to 1964. This video also answers the trivia question: “Why were live turtles carried aboard the SS United States?” Hint: it wasn’t for the soup! Enjoy! There was “a lot of really sincere disappointment, we really tried to make a go of it,” said Tim Sullivan, a retired Coast Guard rear admiral and a consultant to Crystal who led the assessment. 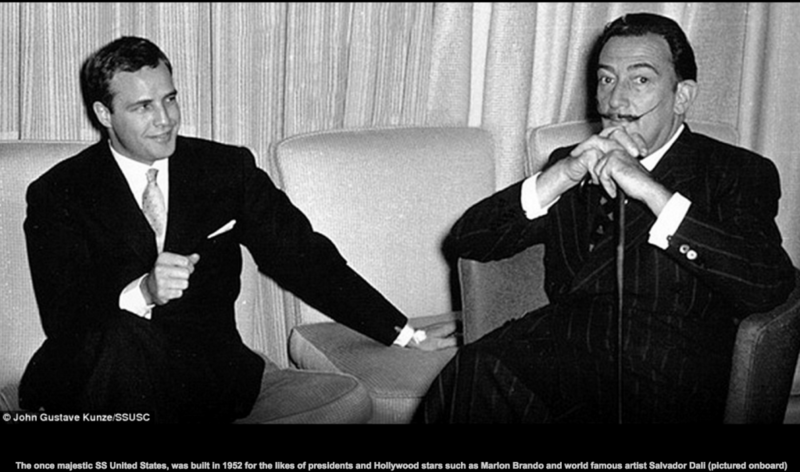 There were “no huge show-stoppers,” he said, but a combination of engineering and regulatory obstacles ultimately put commercial success out of reach. The “Big U,” as the ship is known, is a 20th-century engineering marvel. Built as a luxury liner with theaters, staterooms and orchestras on board, it was also a Cold War secret weapon: It could rapidly be converted into a fast troop ship. 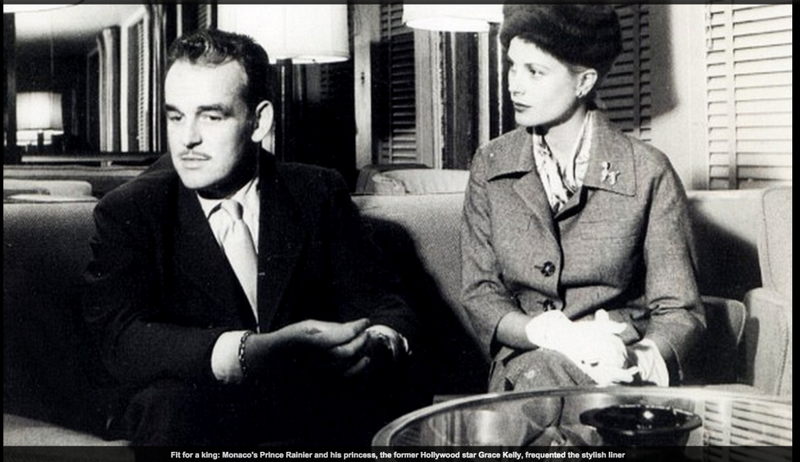 On its maiden voyage, in 1952, the ship made the fastest trans-Atlantic crossing ever, a record that still stands. Its engineering details, including the hull and propeller designs, remained state secrets for decades. 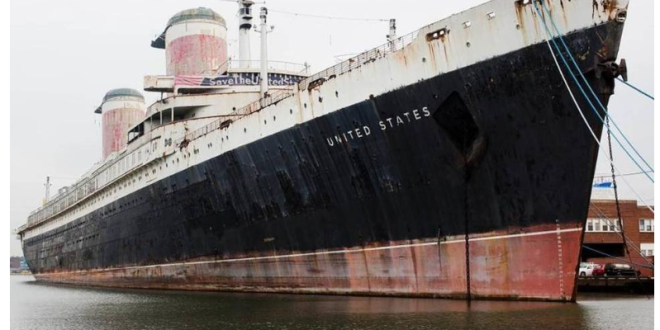 Earlier this year, Crystal signed an exclusive purchase option for the ship with the S.S. United States Conservancy, a preservationist group that has owned the vessel since 2010, when it mounted an 11th-hour effort to save the ship from a date with the scrap yard. Until Crystal emerged, the conservancy had been seeking partners to make the ship part of a waterfront real estate development. The idea was to fill the vessel with restaurants, hotels, museums or office space. It will now resume that strategy. “We actually think we’re really closer than ever to finally saving her for the long term,” said Susan Gibbs, the executive director of the conservancy. That is at least partly because Crystal’s top-to-bottom examination concluded that the 65-year-old vessel, taken out of service in 1969, remains sound. It also means any future partners will not have to spend the money to figure that out. Admiral Sullivan said that as part of the study, divers inspected the hull, and engineers peered into the ship’s more than 100 ballast and fuel tanks and assessed the structural condition. A 3-D scan was also performed of the interior, which has as much floor space as a small skyscraper. But among other things, it turned out that replacing the ship’s steam engines — which have not been powered up for decades — would have required rebuilding about 25 percent of the hull. These and other changes, necessary for the project to make business sense as a cruise ship, raised the prospect of, in effect, making it into an entirely new ship. Another commercial obstacle for Crystal, Admiral Sullivan said, was the Jones Act, which regulates maritime activities. Crystal hoped to sail the vessel as a United States-flagged ship, which would permit it to sail directly between American ports — a big competitive advantage. Typically, cruise ships do not have that right, because unlike the Big U, they were not built in the United States, and they sail under foreign flags. In the meantime, Crystal is donating $350,000 to the conservancy, money that will come in handy. It costs about $60,000 a month to dock and maintain the ship.